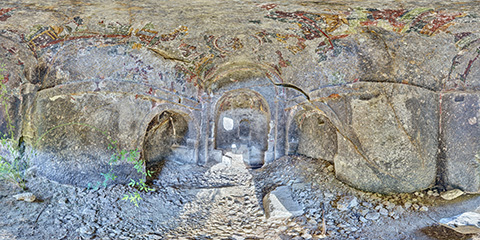 The valley of Erdemli was a Byzantine settlement from the 9th to 13th century. 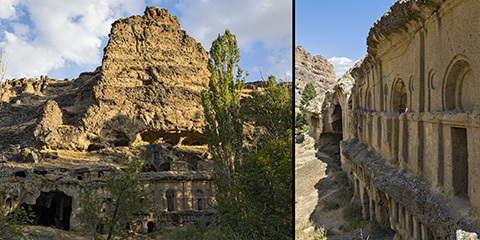 The main complex is the Saray Manastırı (palace monastery) with a decorated facade, a big cave church and several spaces on the bottom of the valley. 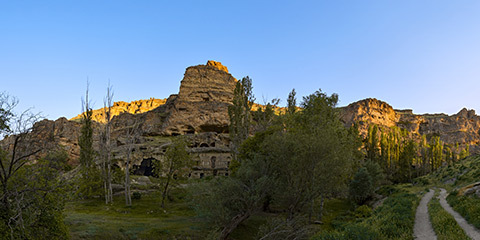 The hillsides contain hundreds of caves with several cave churches and a cave mosque. 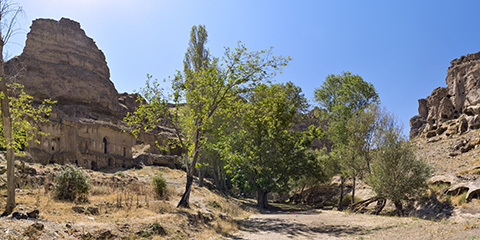 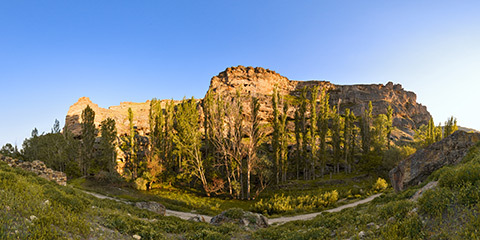 Back to Cappadocia with all villages. 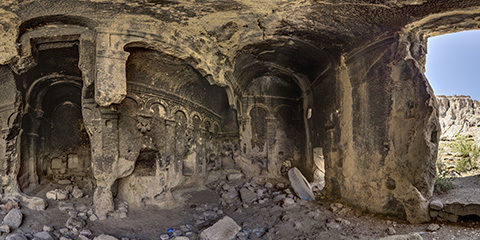 The main complex is the Saray Manastırı (palace monastery) with a decorated facade, a big cave church and several spaces on three floors. 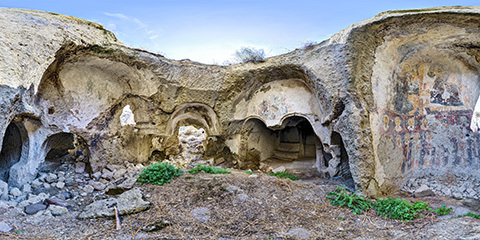 This was probably the luxurious home of a great land owner. 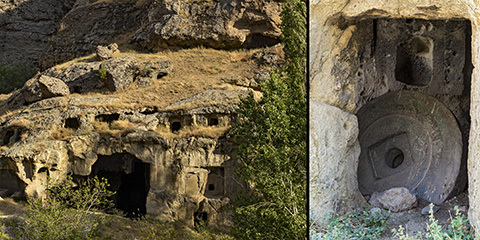 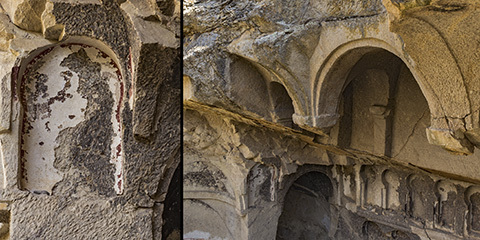 This big cave church is next of the Saray Manastırı and has a mill stone from a neaby mill. 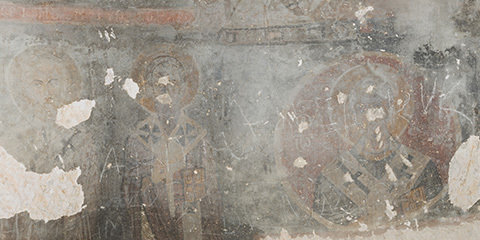 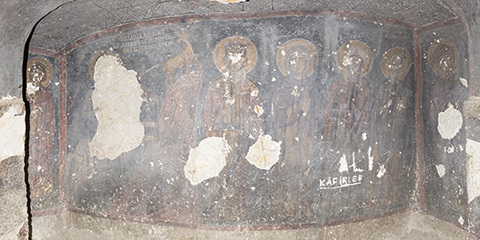 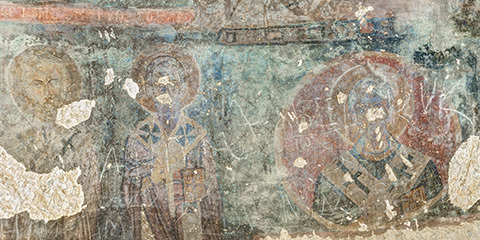 A possibly private church with some frescoes in the Saray Manastırı. 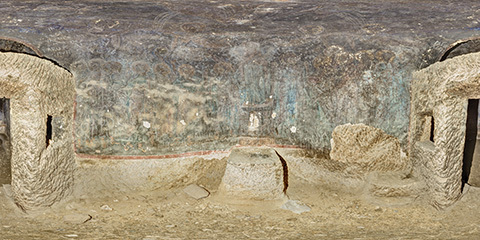 Horse stable with separated feeding troughs. 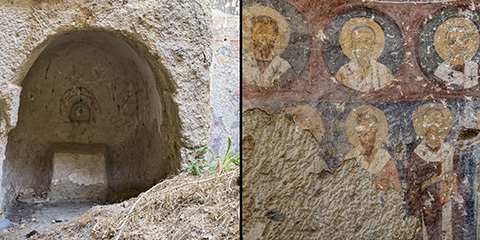 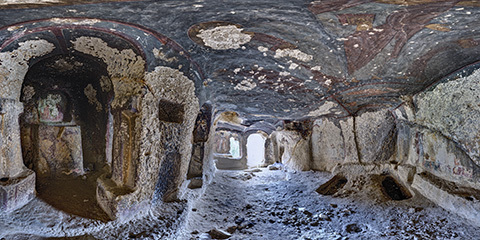 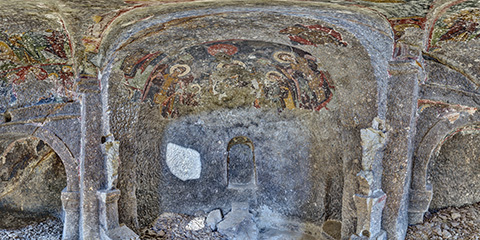 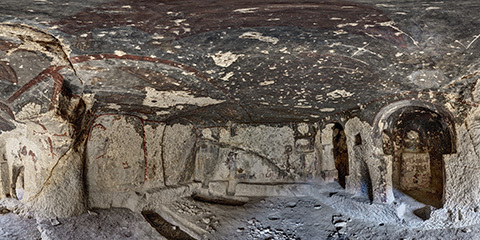 The Eustathios Cave Church was presumably the best decorated one. 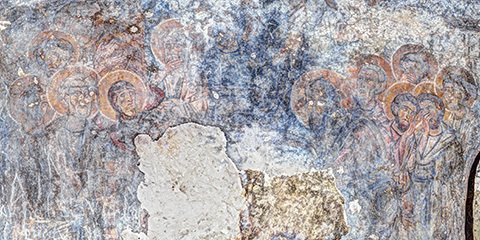 Unfortunately its colourful frescoes are covered by more or less thick layers of grime. 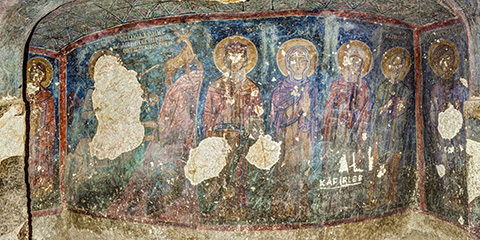 Only intensive digital work made it possible to get an idea of their former glory. 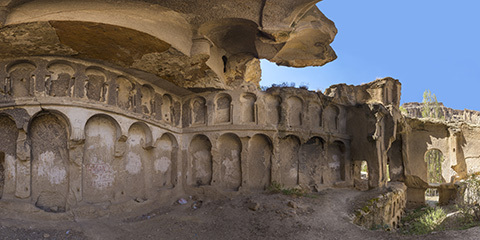 The Kilise Camii (Church Mosque) Cave Church has its name from the Cave Mosque in the rocks above.